Copley Junior School - P.E. At Copley Junior School, we believe that all children can find enjoyment and satisfaction from taking part in physical activity and P.E. is promoted as an important part of our curriculum. We offer a good range of sports within the curriculum and extra curricular sports clubs are available each day after school. We are a successful sporting school and our cross country, football, gymnastics and athletics teams have competed successfully in local and national competitions and tournaments. To acquire new, and develop existing, skills and be able to select and apply these in a variety of situations. To develop a knowledge and understanding of fitness and health by fostering a positive attitude towards physical activities. To develop a feeling of enjoyment and achievement through providing opportunities to express ideas and feelings in a form of non verbal communication. To develop positive attitudes to physical endeavour including perseverance, fair play and sporting behaviour, and the ability to cope with success and failure. To read more about our approach to the teaching and organisation of P.E. please click here to read our Physical Education Policy. All pupils have the opportunity to participate in and experience gymnastics, dance, swimming, games, outdoor and adventurous activities and athletics. An overview of coverage for each year group is detailed in our long term plan for P.E. Long Term Plan for P.E. Exploring balances in a gymnastics lesson. In their dance lessons, Year 6 learned about the 'haka', a ceremonial dance or challenge in Maori culture. The 'haka' is a posture dance performed by a group, with vigorous movements and stamping of the feet with rhythmically shouted accompaniment. Year 6 created and performed their own 'haka' with great enthusiasm. Fierce! 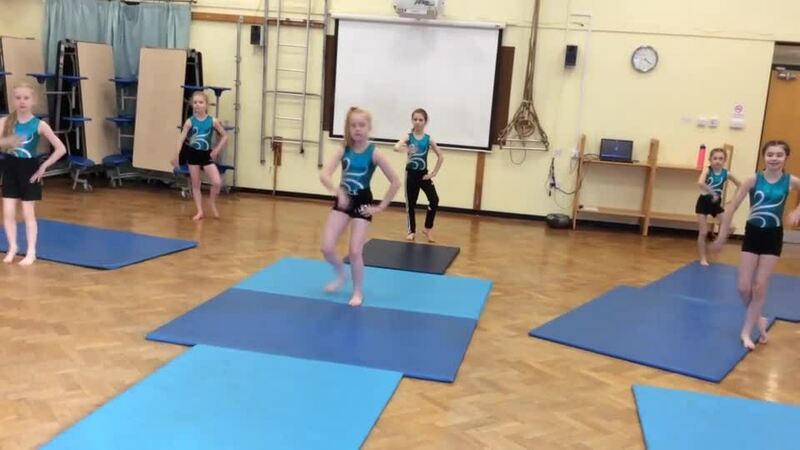 Gym Club - Our Gym Club is led by Miss Hull. Every year our gymnastics team is selected following trials and we compete in the gymnastics championships. In 2017 we competed at county level and our team came 3rd for the whole of Yorkshire! In 2018 our team came 2nd for the whole of Yorkshire. In 2019 we are very proud to share that the team came first and they are now County Champions for the whole of Yorkshire! Year 3 creating their own games using small apparatus. Our military fitness club, Scotty's Heroes, encourages children to take part in military missions that are lots of fun too! Scotty's Heroes Holiday Club - Themed days for our popular Scotty's Heroes Holiday Club include: Military Activities; Survival Day; Orienteering Missions and Outdoor Hunting. The gallery below shows photos from the final day - partner activities; hot chocolate making; learning how to make and control fires safely and a very messy holi colour powder battle!